Today I have yet another look with the Tarte Rainforest After Dark Palette. I can´t help it! 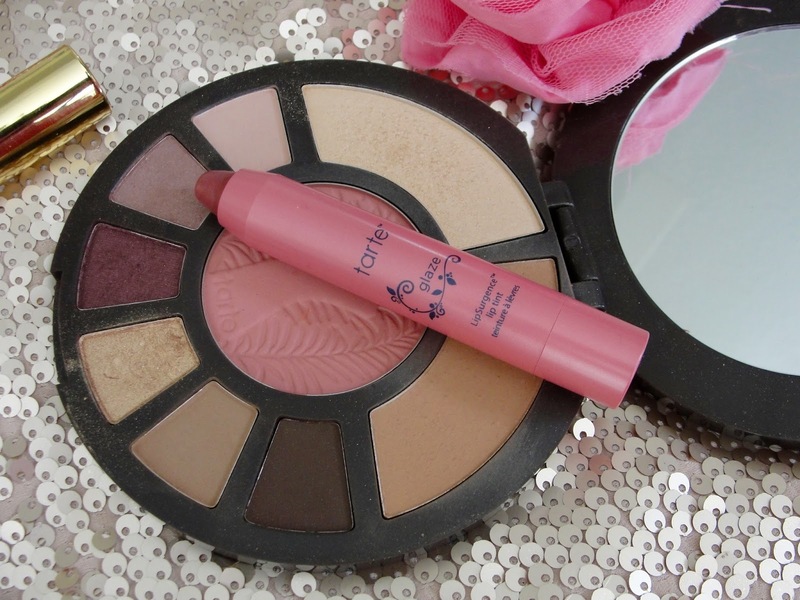 It is simply one of my favorite eyeshadow palettes! 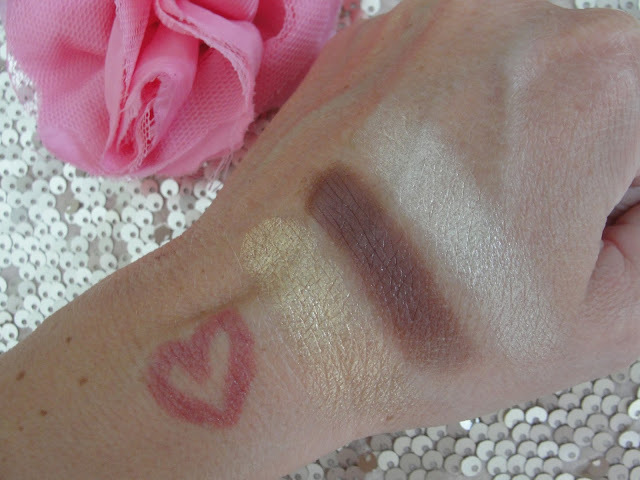 The gold and purple eyeshadows are so stunning- so is the highlighter, the bronzer and the blush! 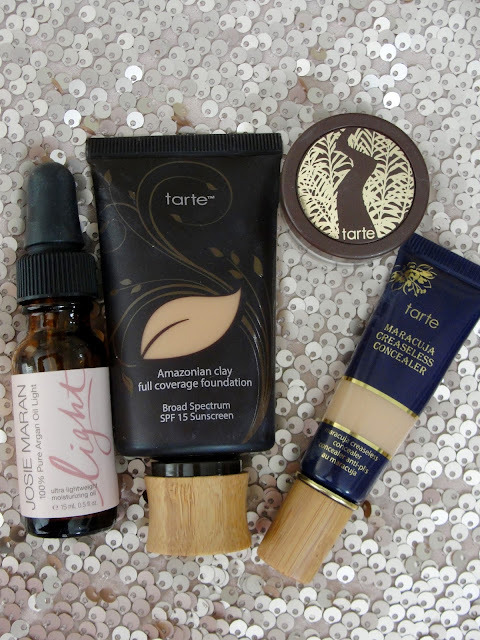 I am at the moment trying out a lot of new foundations and today I used the Tarte Amazonian Clay Full Coverage Foundation. I love that it contains an SPF of 15 and it seems to have a matte finish (which is actually great for my oily skin) but I wanted a dewy finish and so I mixed it with 1 drop of Josie Maran Argan oil (the light version). That way it was also much easier to apply. The Tarte Maracuja Concealer is a super high coverage concealer that I always apply first on the back of my hand and then dab it ever so slightly on all my problem areas (mainly my chin and under my eyes- oh and between my eyes that frown wrinkle too). 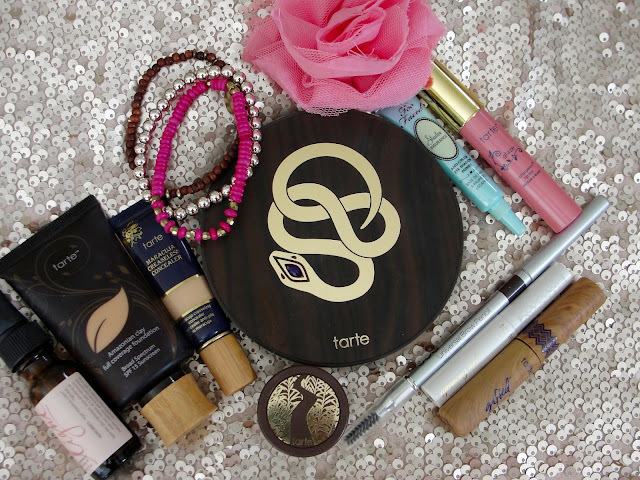 Because I have an oily face I did set my T-zone with the Tarte Smooth operator which is a translucent powder- the rest I left dewy and glowy and I used a whole lot of that Tarte highlighter from my Rainforest After Dark palette.